This picture of us was taken at 8:30am on Friday, August 26th, 2011 on the third day of the USANA 2011 International Convention in Salt Lake City, UT. What we have in common is that we are all members of USANA’s Million Dollar Club. Did we encounter rejections, obstacles and setbacks along the way? Yes. Did people tell us we were wasting our time, and not to talk to them about USANA again? You bet. Every USANA Million Dollar Club member has encountered some failures along the way. However, none of us failed, because none of us ever quit until we achieved our goals. What would you attempt if you knew you could not fail? How about becoming a USANA Million Dollar Club member, for starters? The next USANA Million Dollar Club picture will be taken at 8:30am on Friday, August 17th, 2012 at the USANA 2012 International Convention. You might be – if you don’t quit. $91,000 is the average yearly income for an established, full-time USANA Associate. $24,000 is the annual average of those who earned as little as one commission check each month. Total includes all earnings from the Compensation Plan, Leadership Bonus, Matching Bonus, contests, and incentives. Calculations based on earnings for fiscal year 2010. Figures should not be considered as guarantees or projections of actual earnings, which result only from consistent, successful sales efforts. To date, USANA has more than 170 Associates who are lifetime Million Dollar Club members. If you were at Convention, then you’ve already heard all about it and are probably crazy with excitement—The Crazy Cash Contest is giving away more than a quarter of a million dollars! This 12-week contest is sure to get your pulse rushing. All you have to do is go to the contest page, opt-in to participate, and then keep building your business! Contest points will be awarded for various business-building activities, such as enrolling new Associates or Preferred Customers, getting new members of your downline on Autoship, and rank advancing. Associates with the most contest points will win a huge cash prize! But that’s not all—since each participating distributorship will be placed in rank groups with other Associates of similar rank, everyone has an equal chance to win! And of course, with weekly drawings and account bonuses, you have a chance to win more than just cash. So what are you waiting for? With a contest this incredible, you’d be crazy not to participate. Opt-in today! 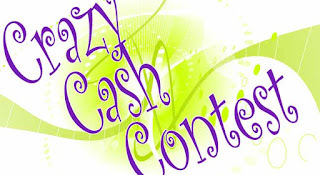 For more information, please visit The Crazy Cash Contest section of USANAtoday. 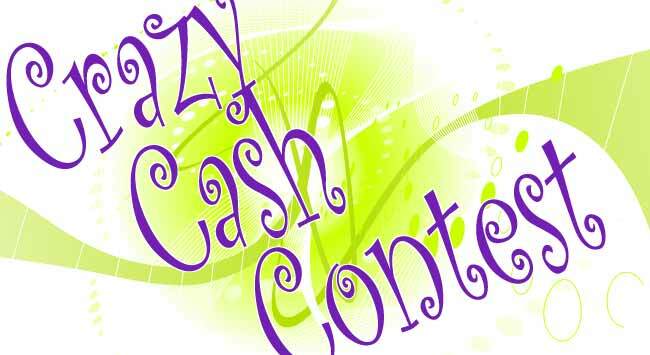 The Crazy Cash Contest is giving you a chance to compete for your share of more than a quarter of a million dollars! Earn contest points for building your business, and pick up some cool prizes along the way. But that’s not all. Here’s the best part—we’ve leveled the playing field, so you only have to compete against Associates of similar rank! This means that Builders will be competing against Builders, and Gold Directors will be competing against Gold Directors. Everyone has an equal chance to win! Playing is easy. 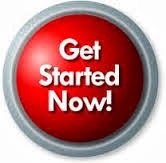 Just opt-in, and begin building your business. It’s crazy! You will begin to accumulate points as you build your business. Remember, the people with the most points in each rank group will win cash prizes! 9. Receive points for percentage of CVP growth compared to your CVP during the base period, June 4 to August 20, 2011. Also, there will be a weekly drawing just for new Preferred Customers. Whenever you sponsor a new Preferred Customer who enrolls with a minimum of 34 SVP, they will be entered into the weekly drawing for Preferred Customers, and you will be entered into the weekly drawing for Associates! 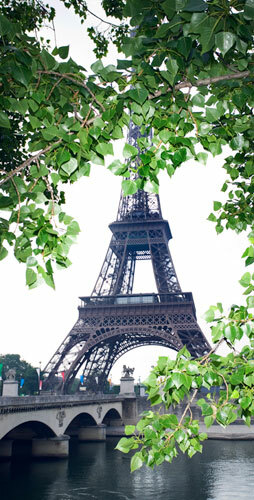 It takes 600 steps to reach the second level of the Eiffel Tower. With each one, more and more of Paris spreads out in front of you—buildings, monuments, parks, people, energy, and opportunity meeting in a breathtaking mosaic. This iconic thousand-foot monument was built in 1889, and since then, more than 200 million people have clung to its iron rails and gazed upon the most visited city in the world. Most of those people descended the 600 steps and shuffled off to other places on their Parisian checklists—the Louvre, or the Cathedral of Notre Dame, or the Arc de Triomphe. A few spilled into the streets of Paris with an opportunity to build something impressive of their own. Now you can be one of the lucky few. USANA is opening France in the first quarter of 2012. USANA’s 17th international market gives you the chance to build a business by spreading the opportunity for true health and true wealth from the sidewalk cafés of Paris to the sun-drenched Mediterranean sands of the French Riviera, and from piercing green vineyards in Burgundy to towering granite cliffs in Normandy. Postcard-ready places aren’t all that await you in France. The world’s most visited country is also the 10th-largest direct selling market in the world, with $2.41 billion in sales—based on 2009 estimates—and a sales force of over 265,000. The French Direct Selling Association estimates 8 of 10 people in the country already know about direct selling. This makes France as exciting for network marketers as it is for tourists and sight-seers. Belgium, France’s neighbor to the north, will become USANA’s 18th international market when it also opens in the first quarter of 2012. Whether it’s in the streets of Brussels, Antwerp, or Bruges, or in the castle-dotted countryside, Belgium presents its own exciting opportunities for growth. Belgium is also the birthplace of WTA superstar and USANA brand ambassador, Kim Clijsters. Each market opening brings an opportunity to create positive change. But France and Belgium are special. USANA Associates have had an interest in these countries for some time now. Many already have strong connections in the region, and this opening gives those Associates—and all of the USANA family—a chance to use those ties to build their business and spread the message of health. There are 600 steps to the second level of the Eiffel Tower. The first step to building your business in France and Belgium is visiting the FAQs, and getting informed. After that, you will have the chance to build something impressive—a monument to positive change in the health and financial well-being of those in France and Belgium. There is a pivotal moment that happens in the presentation that every prospect sees. And it is in this exact instant that 99 percent of the time determines whether or not the prospect joins your business. Your prospect either realizes he or she can do the business, or they can’t. And of course that’s totally about their perception. Whatever they perceive is the truth to them. If they are thinking they could do it they will start to mentally construct a list of the people they would like to sign up. If this happens, they join. If it doesn’t happen, they don’t join. They may say they don’t have the money, the kids are in school, the kids are out of school, the timing is bad, their spouse doesn’t approve, they’re too busy, the products are too expensive or any one of a thousand others reasons. But the real reason is the one I said above. Do you really get that? This time last year, I had just moved to Salt Lake City and was exploring downtown when a flood of excited people came pouring out of what I realize now was USANA’s 2010 International Convention. The buzz downtown was electric. The excitement of all the convention-goers was almost tangible. What I noticed immediately was that the people I saw seemed really, really happy. Not only was that my first introduction to USANA, but looking back, it was USANA’s wonderful employees and associates — their enthusiasm and friendly greetings as I wandered through Gateway Mall — who first welcomed me to Salt Lake City. This year I get to experience convention for myself, and I’m excited about all the events we’ve got planned, the people I’ll get to meet and the amazing speakers we have lined up. Here’s what we have to look forward to (in order of appearance)! Dr. Christiane Northrup is someone I admire a great deal because of her amazing contributions as a passionate advocate for women’s health. The author of not one but two New York Times best-selling books, Women’s Bodies, Women’s Wisdom and The Wisdom of Menopause, Dr. Northrup is a leading authority in the field of women’s health and wellness, as well as a big supporter of USANA’s science-based products. Kathy Kaehler is also someone many of us know and love. She’s a celebrity trainer who’s worked with stars like Cindy Crawford, Julia Roberts and Jennifer Aniston. Kathy has been seen on television, in magazines and online recommending USANA products as part of a healthy lifestyle. We’re in for quite a treat, as she will be presenting several times throughout the convention, including leading a warm-up for those of us participating in the Children’s Hunger Run/Walk! Billie Jean King is a true tennis legend and the founder of the Women’s Tennis Association (WTA), of which USANA is a sponsor and close partner (we provide supplements to over 160 WTA players). Billie Jean’s impressive career includes winning 39 Grand Slam singles, doubles and mixed doubles tennis titles, helping to establish the World TeamTennis league, the Women’s Sports Foundation and other important groups, and making a real impact through organizations like UNESCO, GLAAD and the Elton John AIDS Foundation. Billie Jean was recently honored with a Presidential Medal of Freedom by President Obama. Dr. Libby Weaver is a holistic nutrition specialist and renowned weight loss expert from Australia whose goal is to help empower people to make effective lifestyle changes and better health decisions. Her doctoral research on how biochemical and nutritional factors affect autistic children ultimately affected the way the condition is treated in Australia and New Zealand. Dr. Weaver’s new book, Accidentally Overweight, helps readers use their own body chemistry to better achieve their health and weight-loss goals. 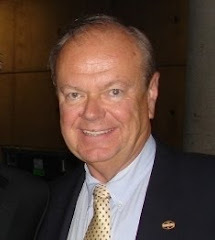 A former Canadian Member of Parliament, Dr. Lyle MacWilliam is an accomplished author, educator and biochemist who served at the behest of Canada’s former Minister of Health to help develop new ways for Canadian consumers to access safe, effective and high quality nutritional supplements. He is also the author of the prestigious Comparative Guide to Nutrition, a publication that independently tests and rates nutritional supplements. We all know Rudy Ruettiger’s inspirational story as the young man who achieved his dreams of playing college football despite the odds and obstacles he faced. His is a story of perseverance, faith and heart—something perhaps we can all appreciate having a little more of in our lives. Known as The Gen Y Guy®, Jason Ryan Dorsey is a preeminent “generation expert” and the best-selling author of Graduate to Your Perfect Job, My Reality Check Bounced! and Y-Size Your Business. His research on generational differences and strengths, which has been featured in 60 Minutes, The Today Show, The Wall Street Journal and countless other media, helps businesses solve generational disconnects, increase innovation across generations, and drive sales based on cross-generational best practices. Shawn Achor is an author and motivational speaker who spent over a decade conducting research on happiness and human potential and lecturing on psychology and positive thinking at Harvard University. In his newest book The Happiness Advantage, Shawn shares an important discovery: that success doesn’t fuel happiness… happiness fuels success. In fact, 75% of someone’s job success depends on his or her social support network and ability to manage energy and stress in a positive way. You can read more on Lisa’s blog post about The Happiness Advantage! If you’ve ever seen The Pursuit of Happyness, then you already know Chris Gardner’s heart-breaking, yet deeply moving and inspirational story. Once homeless and raising his son on his own, Chris, without connections, an MBA or even a college degree, was determined to become successful. Today, Chris is not only a passionate philanthropist but the head of Gardner Rich LLC, a world-class investment firm that services public pension funds and Taft-Hartley plans for some of the nation’s largest institutions and unions. As someone who loves to learn new ways to be successful at work and in life, I’m genuinely excited about our convention speakers and by now I’m sure you know why — each of them has a unique perspective on what it means to achieve success, whether it’s improving your health, making a difference in the world or building a thriving business, and what it means to truly live our dreams. Check out this year’s conference agenda and get more information online at http://www.usana.com/Main/convention/conv_agenda. Have a great convention and can’t wait to see all of you! The state of the economy only affects your USANA business if you choose to let it affect your USANA business. I believe that many Associates have fallen into the trap of pre-judging prospects and situations. i.e. “This person is afraid of losing their job, so they would never be open to investing money to start a USANA business.”, etc. No one can read minds, and it would be ridiculous for you, or anyone, to think that you can. Approach: Get to know a person. Find out what it is that they need, want or don’t want. Show them you are truly interested in helping them. 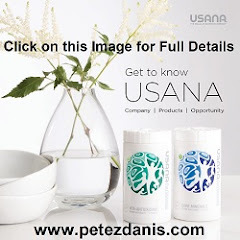 Invite: If it appears that USANA may be able to provide a solution to what you learned about the prospect during the approach, ask them to take a look at that possible solution. Present: Share information with the prospect which clearly shows how USANA can be a solution to their problem(s). Close: If your prospect sees how USANA can be the answer to their problems, ask them to enroll as an Associate as the first step to getting started. If they are not ready for some reason, find out what the reason(s) is/are, and then schedule a follow up as appropriate. The more you follow these four steps, and duplicate them throughout your organization, the more your business will grow. If you don’t, your business will stagnate and wither away. It’s that simple. If the four step process is not being implemented throughout your USANA team on a daily basis, I would recommend that you check your belief levels. 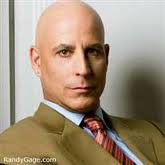 Do you believe in, and share Dr. Wentz’s Vision: "I dream of a world free from pain and suffering. I dream of a world free from disease. 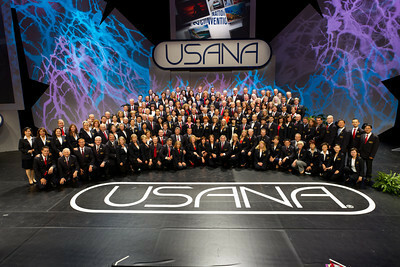 The USANA family will be the healthiest family on earth. Share my vision. Love life and live it to its fullest in happiness and health." If your answers are no, then, quite frankly, you are wasting your time in trying to build a USANA business. This is not being mean, this is being honest. Where are you in the cycle? Find out now, address it, start applying the four step process, and watch your business grow.